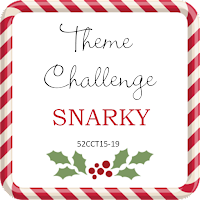 This week at 52 Christmas Card Challenge we are looking for a Snarky/Funny themed card. 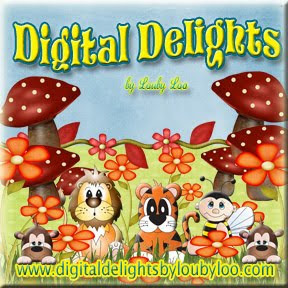 When I think snarky, I automatically think of Bugaboo Digital Stamps! They have some of the funniest characters! I used the stamp, Gus Birthday – Old Fart. I changed his hat from a birthday hat to a Santa hat, coloured the image with my Copics, and created my own sentiment based on a wall hanging I saw this past Christmas at Bouclair’s. 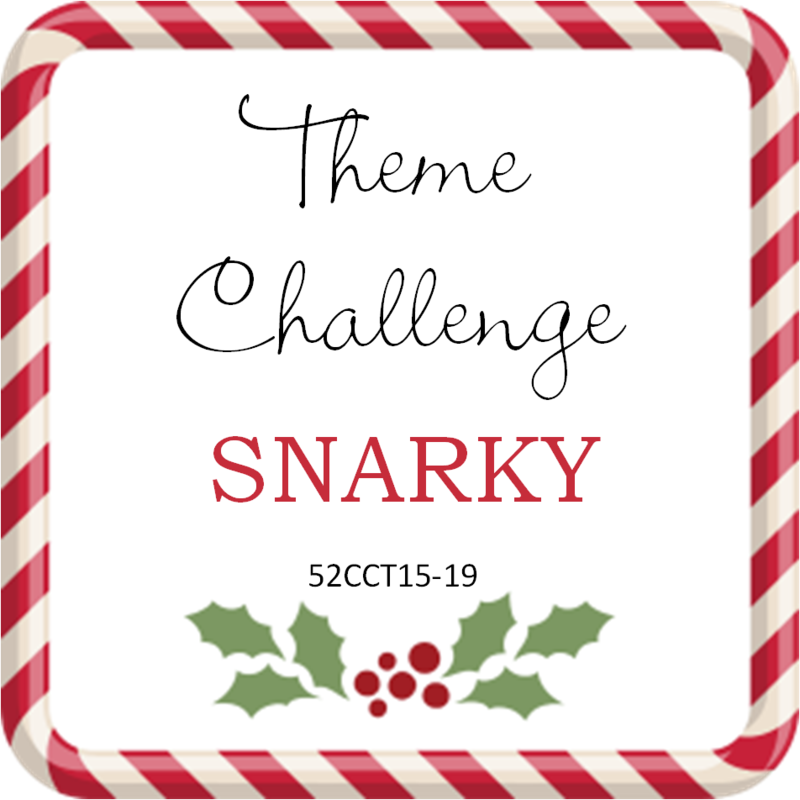 Please join us each week for a new and fun challenge. Before you know it, you’ll have your 2019 Christmas cards made! 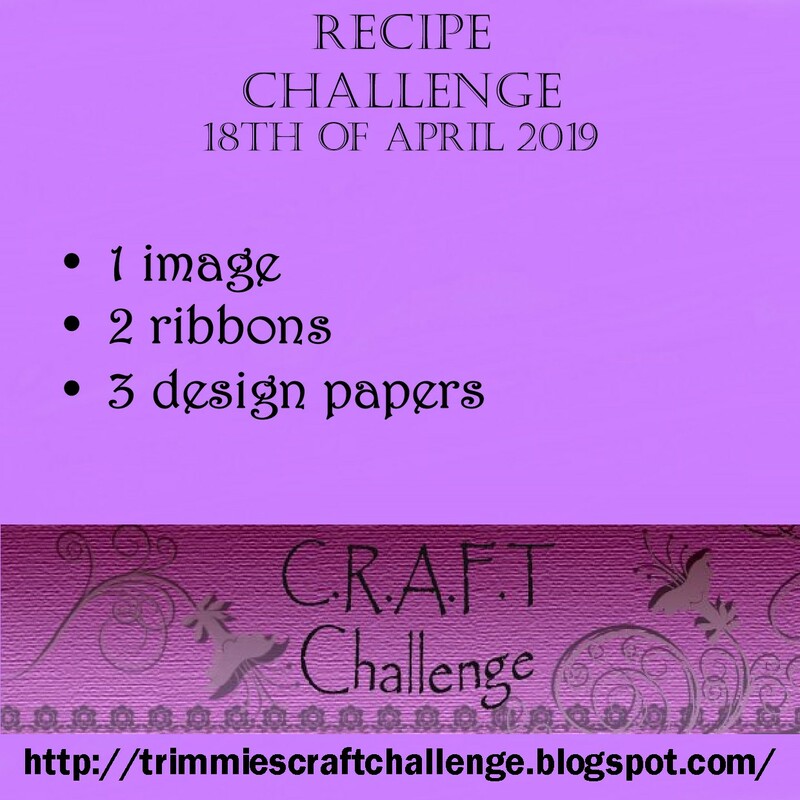 For our CRAFT challenge this week, Jo is inviting everyone to design a card based on a recipe. It must include an image, 2 ribbons, and 3 patterned papers. 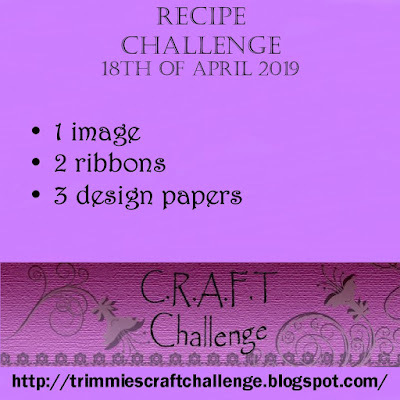 This challenge was especially fun as I used papers designed by our own Design Team Leader, Jo at Trimgym’s Digistamps, Papers and Images. For my image, I used a cute mouse and snowflake by Penny Black that I coloured with my Copics. Please support our wonderful sponsors who generously provide our weekly/monthly prizes. 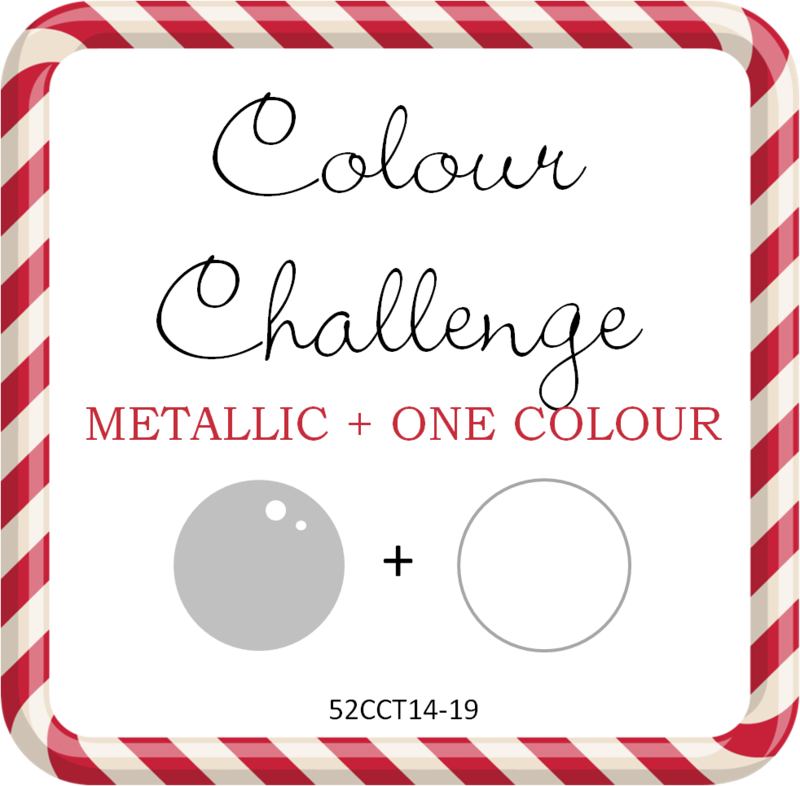 For this week’s Colour Challenge at 52 Christmas Card Throwdown we are looking for a card made with one metallic and one colour. I selected gold and black as my metallic and colour. Crafting friends of mine have started their own Canadian Crafting Company. Currently, their own uniquely designed dies are limited editions and are sold to friends and family only. I purchased a number of their dies and they are all fabulous. This one is simply called Christmas Antler. The Sentiment die is from Dee’s Distinctively Die. 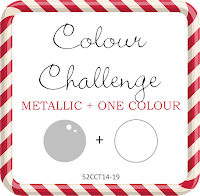 Join us each week for a new Christmas Challenge and we will help you build your Christmas card stash for 2019!